Note to Self is a practical introduction to this daily discipline. Pastor Joe Thorn delivers fifty brief, devotional chapters that model preaching the gospel to ourselves and its practical implications. Readers will be challenged by the book’s direct, personal exhortations to apply the law and the gospel to their own lives. “It’s not enough to simply call people to the gospel. We must help them make the connections between the gospel and their everyday living. 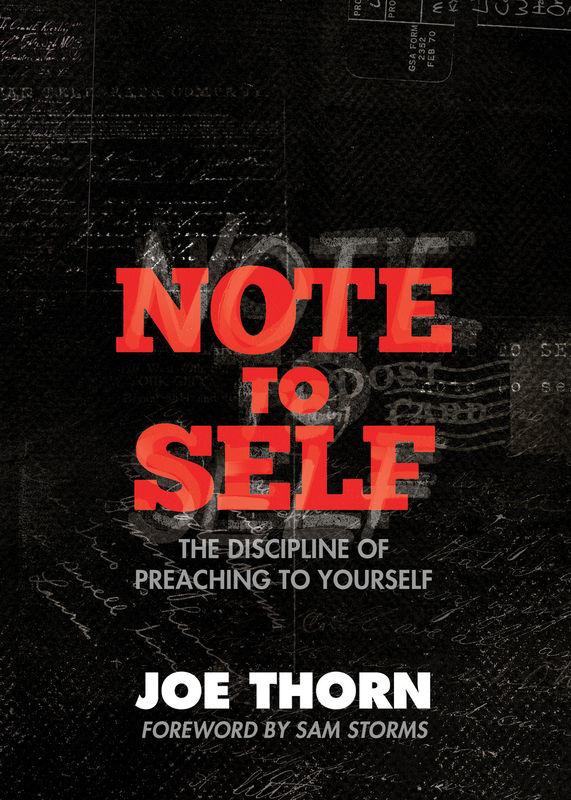 Joe Thorn’s Note to Self is gospel proclamation and application at its best. I will put this in the hands of my people."